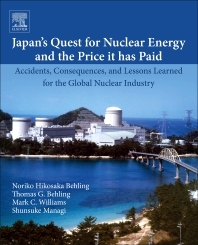 Japan’s Quest for Nuclear Energy and the Price it has Paid: Accidents, Consequences, and Lessons Learned for the Global Nuclear Industry identifies major accidents in Japan that have happened at different stages of the nuclear fuel cycle in Japan, assesses the underlying causes of nuclear accidents, and identifies other systemic problems in the nuclear industry. It provides recommendations on how government, industry and academic institutions can work together toward achieving a zero-accident safety culture. 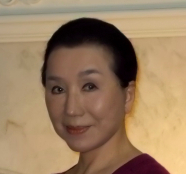 Ms. Behling graduated from Tokyo University of Education in Japan with a BA in philosophy. As a Fulbright scholar, she studied linguistics at Washington University in St. Louis and the University of Hawaii, where she earned an MA degree and undertook graduate work toward a PhD. She worked for the Central Intelligence Agency as a senior analyst and information officer for 20 years. She produced research papers and current assessments in many policy areas, including defense, science and technology, economic policy, and trade issues. Ms. Behling analyzed functional and technical issues, including program analysis, risk assessment, program cost estimation, and global science and technology developments. She also worked in the private sector for ten years, providing consulting services and analytic support to the Department of Defense and the Intelligence Community in the areas of information technology, nuclear energy, and global environmental technology policy issues, including fuel cell technology, low emission vehicles, and hydrogen energy technology. She assisted the National Security Council to formulate two major R&D policy initiatives implemented by the Department of Energy, the FreedomCar Initiative and the Hydrogen Fuel Initiative. Retired from the US Government. Senior Analyst at the Central Intelligence Agency and CENTRA Technology, Inc.
Thomas G. Behlilng is a former Deputy Under Secretary of the U.S. Defense Department and analyst of science and technology policy. He has served for over 40 years at the CIA, the National Reconnaissance Office, and the Department of Defense. He is retired from government service. Prof. Dr. Mark C. Williams is a scientist and engineer. He authored more than 225 articles in the energy and engineering fields. He is also a program manager of hundred-million-dollar programs for the U.S. Department of Energy and a major US corporation serving the nuclear industry. He is a fellow and adjunct professor in USA, China and Japan. Prof. Dr. Shunsuke Managi is a professor of technology and policy at the Kyushu University, Japan. He has been awarded several national research grants on topics such as transportation, energy, climate change, sustainability, and population change. He is the author of "Technology, Natural Resources and Economic Growth: Improving the Environment for a Greener Future", published by Edward Elgar Publishing.